In the on going 2015 EICMA show, Suzuki has showcased a brand new sports bike called the GSX-R1000. 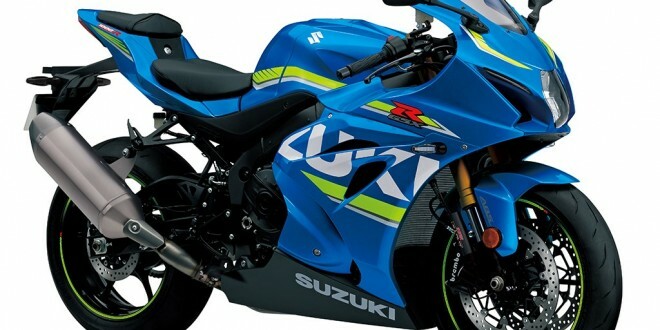 The company claims that the new GSX-R1000 is going to be the lightest yet most powerful and the best handling GSX-R model that has been ever built. This new GSX-R1000 is the 6th generation model and is equipped with the best of features in the superbike segment. When it comes to pricing, the new Suzuki GSX-R1000 gets a very attractive price tag, and the bike is noticeably more cheaper than that of the competition. One could also expect Suzuki to launch much cheaper, lower-spec model after this. The all new Suzuki GSX-R1000 is powered by 999cc, 4-cylinder, liquid-cooled, 4-stroke petrol engine that churns out a maximum power of 200 BHP and 82 ftlb of torque. The engine of GSX-R1000 is mated to a 6-speed manual transmission gearbox. The bike gets some of the top-notch features like all-new aluminium chassis, Showa BFF front fork, BFRC rear monoshock, Anti-lock braking system, 10-level traction control, quickshifter, autoblipper, ride-by-wire, riding modes, launch control and more. When it comes to exterior looks, the bike could disappoint you a bit, as the new GSX-R does not get a twin headlamp setup at front, and now looks more like a premium Hyosung. There is also full LED lighting and LED dash for information display. The bike is expected to be commercially available across the world by mid-2016.